From birth...to beauty, and everything in between. With our medical and aesthetic services. Delivered with warmth, compassion, and respect. "Dr. Rakhshani is an absolute GEM." "Friendly doctor & staff. I choose to come here because it's quick & easy!" "I love love love Dr. Rakhshani She was so great in the delivery room and at every visit." "Professional and welcoming! I refer all my friends." "There is no one like Dr. Rakhshani. She provides exquisite service. I love her!!!!" "Best doctor and staff I could ask for!" "I have been a patient of Dr. Rakhshani for years. She is a very caring individual." "Dr. Rakhshani is polite, professional, and her concern for her patients is paramount." "She is a caring and knowledgeable doctor. I am happy with her in all aspects." 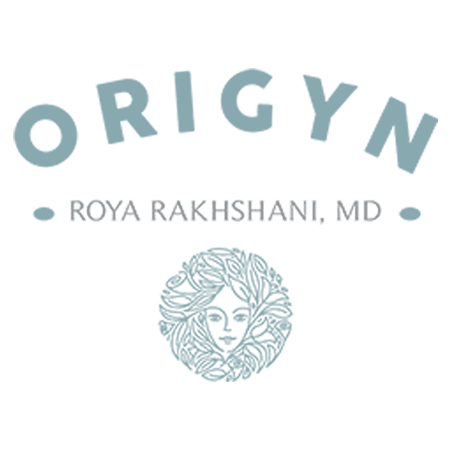 Because of her love for her patients, Roya Rakhshani, MD offer services geared to all the different phases and stages of your life at OriGYN in Costa Mesa, California. Dr. Rakhshani received her medical degree from Keck School of Medicine of USC and enjoys having the privilege of being part of her patients' lives at some of the most important moments. As a highly experienced and board-certified OB/GYN physician, Dr. Rakhshani offers the best medical and personal care because she believes patients deserve kindness, respect, and dignity. Dr. Rakhshani is not only board-certified in obstetrics and gynecology, but she also has advanced training in robotic surgery, laser skin aesthetics, and body contouring procedures. Dr. Rakhshani recently expanded her practice to include certain aspects of laser skin treatments because she loves how excited and happy her patients get when they see what is available to help them look and feel better. Dr. Rakhshani is an active staff member and has affiliations with Hoag Memorial and Orange Coast Memorial Medical Center. In addition, she is also affiliated with Fountain Valley Regional Hospital where she served as the OB/GYN department chief, chaired the Quality of Patient Care Committee, and served on various other committees. Dr. Rakhshani has been in practice for more than 20 years. "Dr. Rakshani and her staff is absolutely amazing. She is thorough and friendly - she makes you feel very comfortable, and her staff is wonderful." "She delivered my son - my experience was wonderful and I couldn't be any more satisfied. He is awesome and so informative. Her overall energy is awesome!!!" "I really have nothing but great things to say about Dr. Rakshani and her staff. She is very friendly and takes her time explaining and listening." "Dr. Rakshani is very kind. She takes time to listen and explain things. She's down to earth with kind energy. Her office staff are always professional and helpful." "She is an amazing doctor that consistently identifies issues that no other doctors have been able to see. I trust her with my life and the life of my daughter." "Experienced, polished, professional with an excellent bedside manner. Dr. Rakhshani delivered my daughter fourteen years ago and provided top-notch prenatal care." "She is simply perfect. I wish I would have find her earlier, but better late than never. She is so experienced and professional. "She is warm, knowledgeable, and takes time to answer my questions in a way that I can understand. I highly recommend Dr. Rakhshani to anyone looking for an OBGYN."